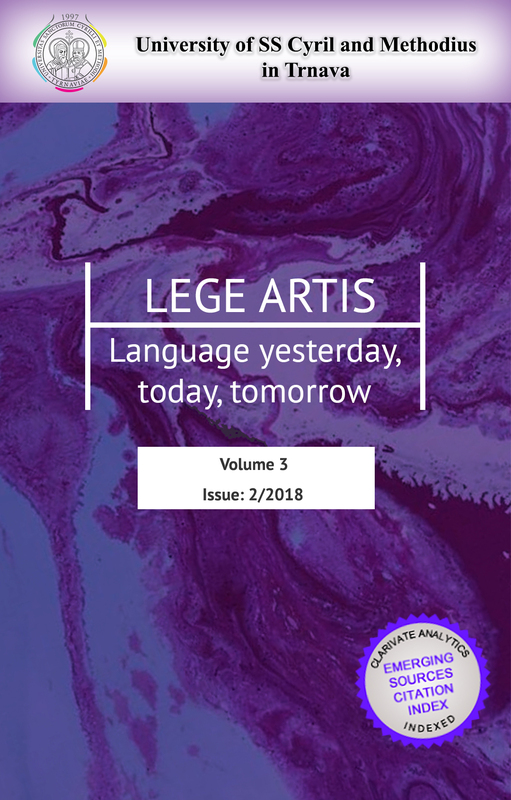 I am glad to present you a Special issue of “Lege artis. Language yesterday, today, tomorrow”. What makes it special? You will see that all the authors are from the same university – Kyiv National Linguistic University, Ukraine. Now our journal has readers from 51 countries representing 5 continents; we have been registered in 17 databases, thus it is a very good chance for any university to represent its young teachers as well as different linguistic schools headed by outstanding scholars. I hope this very good example will have many followers in future. This special issue is very large in volume and has resulted thanks to the joint efforts of many people. I want to thank our anonymous reviewers coming from Azerbaijan, Germany, Malaysia, Poland, Russia, Slovakia, and Ukraine, as well as the members of the editorial board, who have found time to make thorough reviewing of the papers making valuable critical remarks. In my first Editor’s note I have named the champions of editing. It’s my pleasure to thank these people once again. My thanks go to Résumé editors Ad Foolen and Daniel Lančarič who have also edited articles. 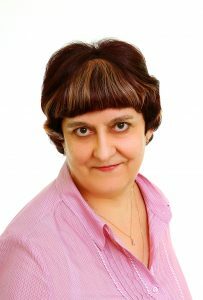 The quality of the paper depends on the work of our Language editors and I am very happy that Iryna Pinich and Michael Valek are the members of our team. Only authors know the volume of work done by our Managing editors. Dear Halyna Stashko and Inna Zabuzhanska, you are second to none! The authors will remember for a long time (if not for good) their papers marked by you in different colours highlighting wrong commas and inverted commas, and small and capital letters, and invalid Internet links, etc. It was not easy to organize teachers from different chairs to send their papers in time and to prepare everything properly for the issuing of our journal. I will always remember great encouragement given to me by Dana Petranová, Tatiana Podmaková, Roman Vasko, Michal Kabát, Johny Domanský, Lidiya Volkova and Iryna Pinich who takes the floor after me with her introductory part of our journal. Modern trends in linguistics have served as a trigger for the assembling and pondering over relevant linguistic matters from a multi-vector perspective. The current issue is a collection of articles based on the original research of the Departments (and the Scientific and Research Centers) of Kyiv National Linguistic University, Ukraine. The scientific interests of the researchers are broad in the areas of Phonetics and Phonology, Discourse and Discourse Analysis, Pragmatics, Text Linguistics and Stylistics, Communicative and Cognitive Linguistics. The idea of bringing the representatives of various schools of linguistic thought together within the issue had a number of incentives. Primarily, the research findings are rallied around the vision of an always-on breakthrough approach. The current endeavour to investigate into the nature and nurture of language gives a significant impetus in bringing the processes under the disguise into the forefront of linguistic concerns. The processing and crystallization of meaning, its constructing and inferencing are among other foci that serve as a starting point for the subsequent linguistic studies. Secondly, the valued input of every contributor is a successful attempt at shifting from a fixed mindset to a growth mindset. The individual inspiration of the University Professors brings out the best in the inter-faculty activities and increases the array of linguistic studies at the University. The conduct of groundbreaking research and research supervision add to the hallmark of the University. The articles exhibit the consistent and continuous work in the fields of the scholars’ interests that accumulated a vast amount of research results and make the scientific heritage of the University. And finally, the inclusiveness principle serves an effective way for cultivating the momentum of further studies both within the University and beyond its walls. The research findings of the University Professors alongside the talented candidates’ contribution present the issues that might be attractive to the public at large and can be implemented in various aspects of social life.